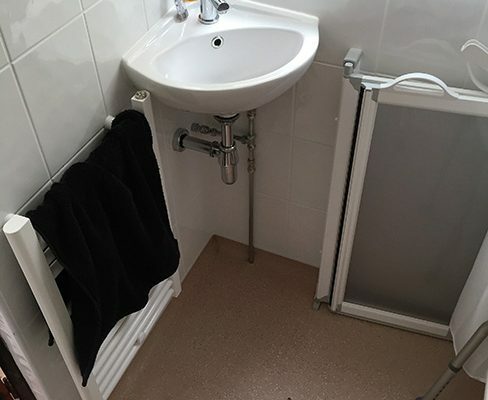 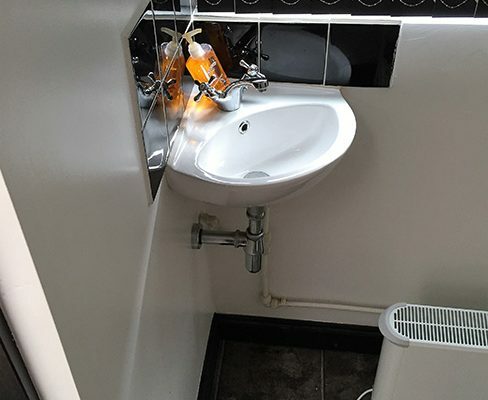 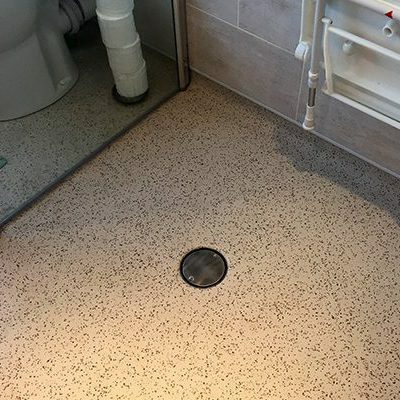 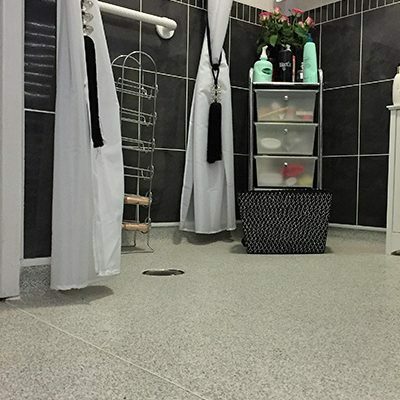 By moving the existing corner basin to the opposite corner, adjusting the position of the new toilet, it created enough space for the level access shower with carer screens. 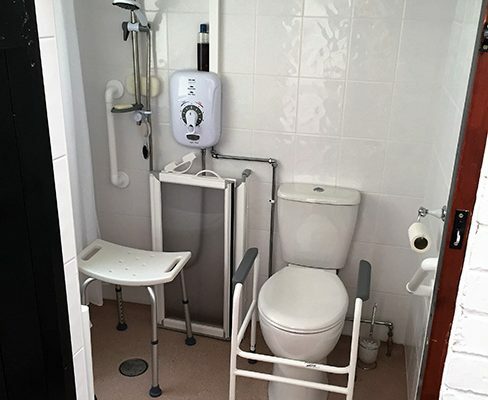 The screens provide protection for the carer to prevent them from getting wet while assisting with showering. 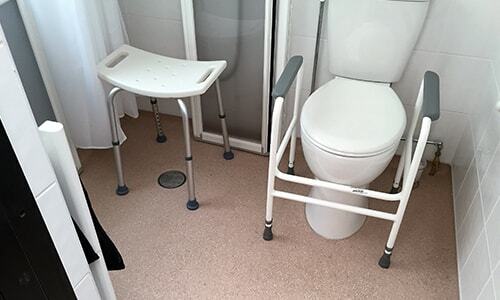 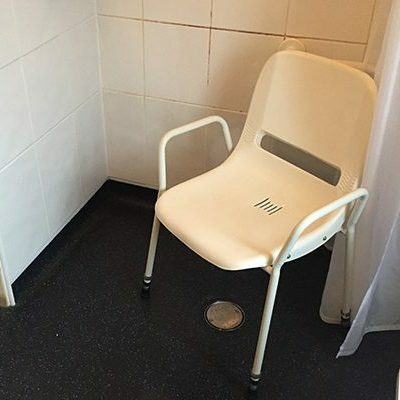 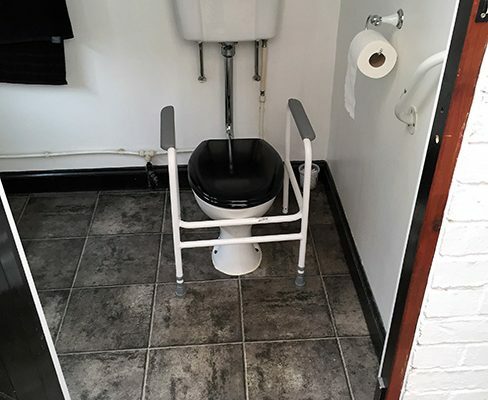 The new raised height toilet enables the client to use it independently and more comfortably.